Video Stabilization is not available for 4K or frame rates higher than 60 fps. For Wide FOV, the image is cropped 10%. 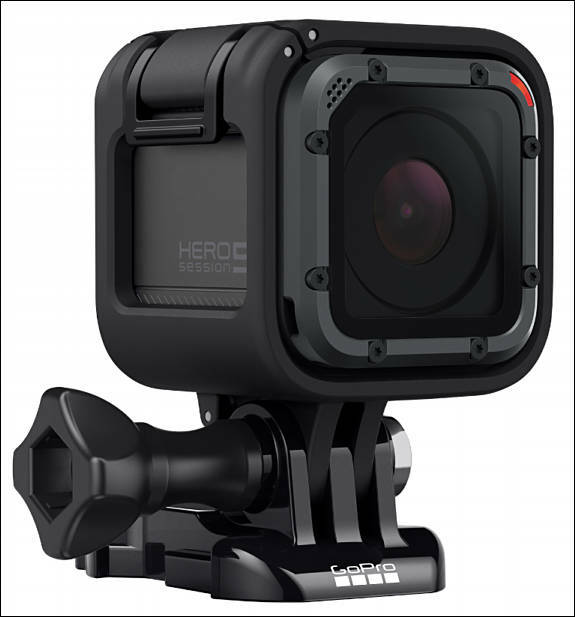 Same sensor as GoPro 4, they just added stabilization. Probably recording rates are also the same. Disappointing! yeap, some companies just resell old technology with their very well advertised brand name. I really like the yi 4k action cam for its features and the price. Why nobody is talking about the REAL specs that are available on the Ambarella website ? : http://www.ambarella.com/products/sports-cameras#H12 All is here : High Dynamic Range Advanced 3D electronic image stabilization H265 Personally I hope the GoPro Hero 5 will have the specs of the Ambarella H12 especially for the H265 who made GoPro the first company to propose H265 ! As I understand HEVC almost can't be used for anything widely sold now due to legal things. The specs are amazing ! Because it's cool to sell to a large public, but look where they are now with all the difficulties... So I think they need to think for the PRO now ! 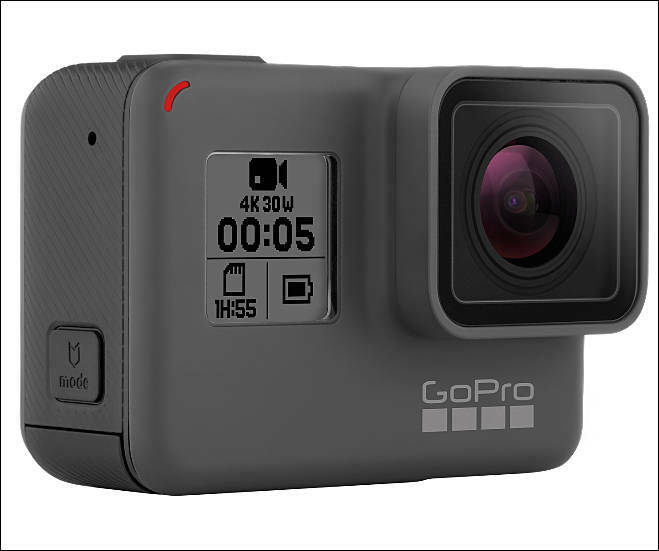 So other than the image stabilization for HD video and built-in touch screen, are there any other improvements over the GoPro Hero 4? This seems more like a Hero 4+ kind of upgrade rather than a Hero 5. Yes, it seems way too modest after a two-year interval. I still expect 4K 60p in the top model. But no non-digital stabilization like the new Sony in any mode. What is that GoPro Sniper option in the Connect menu shown in the posted video? I broke my Hero 3 Black this weekend so I really need to buy a new GoPro. Luckily the GoPro 5 should be announced today. I know it isn't the revolutionary camera that everyone had hoped. It will be fairly nice though. Especially if you don't already have a GoPro 4. You can also just get Yi 4K camera. Or actually upgrade in useful features (better audio, better (any!) stabilization in 4K, higher resolution in 4K) and get the Sony FDR X3000. Still waiting for 10 bit HEVC action cams... I wonder who will be first to market with the new SoCs. Someone really big who can solve legal issues. Actually HEVC legal issues can stand behind Samsung NX demise. @Vitaliy_Kiselev is there a topic already for the discussion behind those legal issues? I would like to read more about it. I really need a 4k @ 30 fps camera or a 2.8k @ 60 fps that is ultra ultra wide angle. It needs to be small, easily mountable, have great wireless support including real time live view, and it has to be able to record continuously for at least 8 hours with USB power input. Also it needs to have easily accessible memory card slots. It should not need to beat taken off the mount to remove the memory card. I don't have to have water proofing and I don't need good sound. However, it is fine if it has those things with an optional case. Is there anything besides the GoPro that can do that? Added official info to first post. As expected, video bitrate is still 60 megabits. Now includes some sort of stabilization and voice command and it's waterproof to 10m without a case. I know most people are disappointed with the GoPro 5. However, I am actually really excited about it. It has all of the video modes I really need and its price($399) is less than I was expecting. If I had a Hero4 Black then I wouldn’t be as excited. However, I really think it will be a great replacement for my broken hero 3 Black. @mpgxsvcd, who said "I really need a 4k @ 30 fps camera or a 2.8k @ 60 fps that is ultra ultra wide angle. It needs to be small, easily mountable, have great wireless support including real time live view, and it has to be able to record continuously for at least 8 hours with USB power input. Also it needs to have easily accessible memory card slots. It should not need to beat taken off the mount to remove the memory card. I don't have to have water proofing and I don't need good sound. However, it is fine if it has those things with an optional case. Is there anything besides the GoPro that can do that?" The Sony FDR X3000 shoots 4K@30p, can be powered by usb, has wifi support to phone with real-time live view with little or no lag, and has an accessible microsd slot for some tripod mounts (no need to take it off the mount to remove the card). It has a standard tripod mount (hole) away from the sd slot, and is tiny. The sound is good without any need for a case; it mounts without the need for a case, but is not waterproof without a case. It is also $399. 100 Mbps 4K (and BOSS stabilization in 4K). What about the new GoPro is better? Suggest to talk more to @markr041 and look closely to this Sony cam. Well, the GoPro Hero 5 Black does have a full color touch screen and is waterproof (to 10m/33ft) without a housing. And it has voice control (if you care about that sort of thing). But overall, this seemed to be more of a usability focused release rather than going for strict image quality improvements (notably still 4K @ 30fps and 60 Mbps). Will it be enough to get people to upgrade? The Sony FDR-X3000 certainly does exceed the GoPro Hero 5 in some areas (optical image stabilization, 100 Mbps in 4K 30p). The amazing thing to me is that it took Sony so long to make a decent action camera that was competitive with a GoPro. Considering how much camera technology and experience they have at Sony, you'd think this would have been relatively straightforward for them. This is just the kind of consumer product that Sony used to crank out and sell by the truckload. But instead Sony went though a couple generations of action cameras that couldn't compete with an upstart camera maker like GoPro, allowing GoPro to build up a significant brand in the process. And now GoPro is synonymous with action cam, much like Xerox is to copy machine. Now whether or not that brand alone will be enough to ensure the survival of the company remains to be seen.